There comes in point in life, aged maybe twelve or so, when you stop reading children's books and graduate to YA. Hopefully, it isn't long before you start again. CS Lewis said, “A children's story that can only be enjoyed by children is not a good children's story in the slightest.” I think this is entirely true, which is why I'm doing a mini-series* highlighting some excellent children's books, for teenagers and adults. *Doing mini-series makes me feel like such an accomplished and organised blogger. 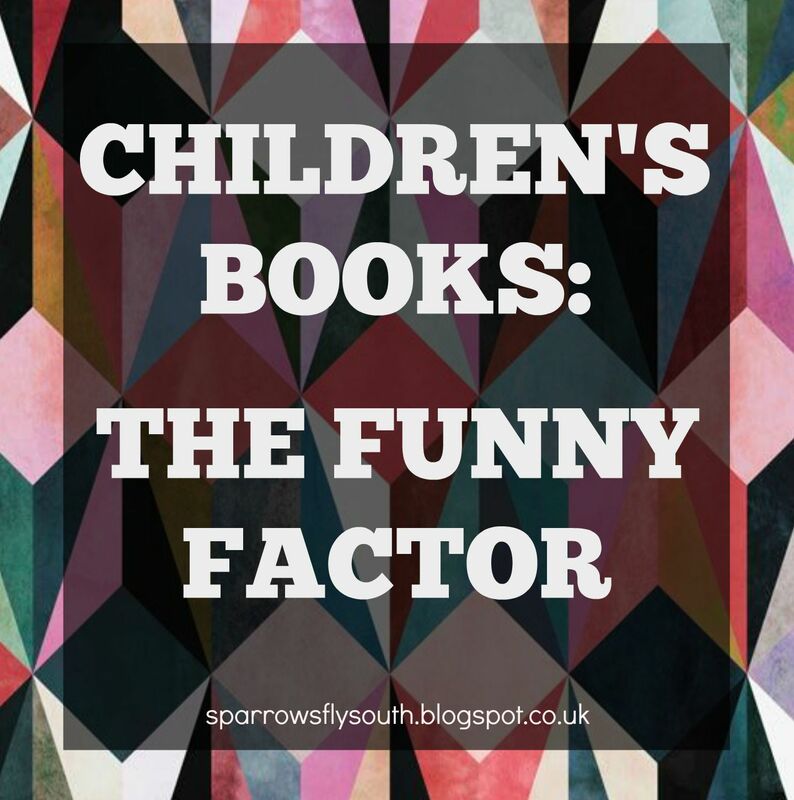 Today, I'm thinking about humour and its prevalence in children's books. Maybe it's just me, but this is what I've noticed: YA just isn't that funny. Anna and the French Kiss is squirmingly adorable and we ship it to the moon and back ... but it's not a laugh a minute. Divergent, Throne of Glass, The Hunger Games? Maybe we love them, but A+ humour they do not have. Of course, there are exceptions! And let's not forget Harry, Sass Master Extraordinaire. Oh, and of course, the books of Queen Maggie Stiefvater are brilliantly funny. Why is this? 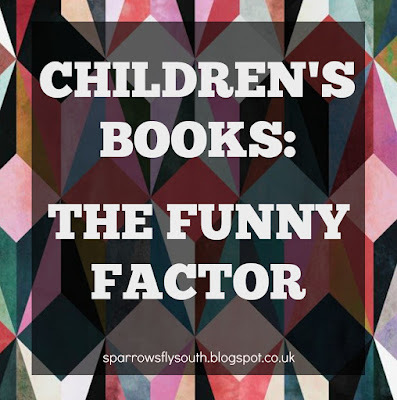 Whilst it's sometimes true that YA deals with darker subjects than children's books, that doesn't mean that the humour content should be lower. Maybe YA heroines are just too distracted by love triangles to have any time for humour. I don't know. I finished this book on Thursday. In a Britain run by magicians, the government buys magical children from their parents and apprentices them to magicians. Nathaniel, frustrated by his lacklustre master and his feeling that no one understands his potential, secretly summons 5000-year-old djinni Bartimaeus in a bid for revenge against an old enemy. But when he orders Bartimaeus to steal the ancient Amulet of Sarmakand, he is soon embroiled in a plot that goes far beyond his petty idea of vengeance. I'd been told before that The Amulet of Sarmakand was "hilarious", so I was expecting humour. Humour I got, but it was also a lot darker than I expected. I imagined that the two MCs would form an adorable and brilliant team ... but, in fact, Bartimaeus was pretty mean, and Nathaniel was a brat. He was selfish and self-obsessed, and made a lot of bad decisions. As such, I found myself siding with Bartimaeus pretty much the whole way through -- but even he was quite cruel. However, the humour was perfectly balanced. Obviously, this sort of humour comes down to Stroud's particular style. He created an unreliable and very amusing character in Bartimaeus, and this made The Amulet of Sarmakand a highly enjoyable read. The plot was also fast-paced and interesting, but in the end, it was the humour that defined this book for me, and the humour that gives me my main reason for recommending it. I'm yet to read The Heroes of Olympus, but from what I've been told they are solidly in the YA camp. However, the first Percy Jackson cycle are, I'd say, definitely children's books. I binge-reread those three in as many days when I was ill a few months ago (and, once I've finished A Farewell to Arms, I'm going to reread #4 ... yay! ), but never did a proper review. (Do you remember when I used to review every book I read? I also used to post every day. Hahahahaha.) Now is the time. For anyone who doesn't know (and can I ask, where have you been?) the Percy Jackson books tell the story of the eponymous Percy who, after discovering he is the son of Greek god Poseidon, goes to a place called Camp Half-Blood. There he receives training and meets other demigods, as well as a whole host of other creatures, and some of the Olympians themselves. What Percy must quickly learn, however, is that a full-blown war of the gods is brewing, and he and his friends are about to be plunged into its midst. I first read the first few Percy Jackson books (the first four, I think) when I was about nine until I was maybe eleven. Then I sort of fell off the end -- it's difficult to keep up with a series when the books come out once a year. You can forget the plot in between book. I normally do. However, rereading these first three I have fallen in love with them all over again. They are brilliantly fresh -- do you know of any other Greek god books? Do you? -- and fast-paced. Riordan's love and devoted study of Greek mythology spills over on every page; for me, reading these aged ten or so sparked a mythology phase that ensures I now know far more about classical myths even than is found in these pages. Riordan marvellously captures and reworks ancient stories. The characters are excellent. He goes for a really diverse cast, and introduces the refreshing theme of ADHD and dyslexia for many of his characters, whose inbuilt demigod fighting skills make them hyper-aware all the time, and whose brains are wired for Ancient Greek, thus making it hard to read English. This, paired with the books' easy-to-read style, enables them to connect with children struggling with ADHD and dyslexia, which I think is really important. Percy is a strong MC. He can be a little annoying, but I think that, in these early books, he captures the essence of being twelve (not that I'd remember. I am as ancient as the forest. ), and is ultimately a selfless and brave boy. Annabeth, meanwhile, is an excellent female lead. I love how strong she is, and her love of learning (not letting her above-mentioned dyslexia get in the way of her dreams of being an architect). Then there's Grover; though often viewed as the hopeless on of the trio, he is hilarious, and keeps the rest of the characters together. We all need a Grover. The thing that really brings these books to life is the humour. They never fail to make me smile, and for this reason they are an excellent series for readers of any age. What about you? Do you still read children's books? What's your favourite? And, I am very interested to know, what's the funniest book you've ever read? Do you agree with me that YA needs more humour? And why is the humour absent, anyway? Give me your thoughts. John Green's always hilarious. I especially liked An Abundance of Katherines and all of its footnotes (maybe many funny books use footnotes, who knows). But I have definitely found that, especially these days, YA is getting less and less funny. Huh, interesting. I did not find TFIOS funny, but I guess the subject matter is so serious. (I don't know, though. Hazel strongly makes the point that being ill doesn't stop people enjoying life and that'd work with humour, too, surely?) But from what I've heard, AAoK, WG,WG and PT are more light-hearted. I've noticed the lack of humor in the YA section. Which very much saddens me, since I dearly love to laugh. Those FOOTNOTES! Wow. I want to read this book. An unlikable duo with humor to be loved for. I like it! Oh my goodness! Percy Jackson! I'm reading The Sea of Monsters right now. This is one of the best kids' books I've read. And it's so hilarious! I like Annabeth too (Really now, how many smart blondes do you see in YA, hm? Yep, the kids' books have it!). Children's books are always funny. Hence, I like them. OK I'm going to read them! I am! I will! I promise! You do want to read the book. It's a good book, honest. I LOVE FUNNY BOOKS. I have to agree that children's books are more usual to be funnny...but, tbh, I haven't ever felt that YA was missing the snortingly-laughter factor! I think there were sooo many hilarious moments in The Hunger Games (basically all Haymitch's lines) and Reboot is hilarious. ALSO CASSANDRA CLARE'S BOOKS. The wit is golden. And I laughed my brain out in Denton's Little Death Date and Me Earl and the Dying Girl. xD So yesss. the humour is darker, but definitely still there. I ALSO LOVE THAT CS LEWIS QUOTE. That is my go-to quote for everything. I think children's books should be timeless. Ah, Cait, that is because you are surpassingly wise in that you have READ ALL THE BOOKS. Ooh but Cassandra Clare, I have finally been persuaded to read TMI. YES CS LEWIS. WHAT A GUY. ~Coriander was looking far more lively than he had in the morning and, after some cajoling, was persuaded to perform the odd magic trick. No, I never have ... to Goodreads! Interesting! To be honest, if it's children's fantasy, I'm probably on board! I do think you are absolutely right, that humour is lacking in YA. I guess it all comes down to what are the trends of the moment, and the books that follow those trends are always going to be the most publishable of the time. So if moody vampires, followed by depressing dystopians, followed by intense high fantasies have been the main trends in YA books from the past few years, and that is what everyone wants to read and buy, then manuscripts following those trends will be much more likely to get picked up by publishers than manuscripts that break those trends and are predominantly funny books. And whereas the YA market is predominantly female-oriented, the children's market is maybe more unisex friendly, which allows for more light-hearted funniness and less serious romances. That's my impression anyways, I'm not positive that that is right. Maybe it's more that my tastes tend to follow the more epic, intense speculative fiction line and so I'm oblivious to all the funny YA reads out there? I don't know. But I do know that I would love to have more funny in my reading life :) I know I MUST get to the Skulduggery Pleasant books someday - seems like all UK and Ireland bloggers I know swear by them and how witty they are! I absolutely agree with you. Wow, you're right, though - "moody vampires, followed by depressing dystopians, followed by intense high fantasies". I kinda think of vampires as the YA staple, but actually, there've been hardly any vampire novels of late, and even the dystopians are cooling off for fantasy to take their place. I'd not thought of it like that but your analysis is 100% correct!